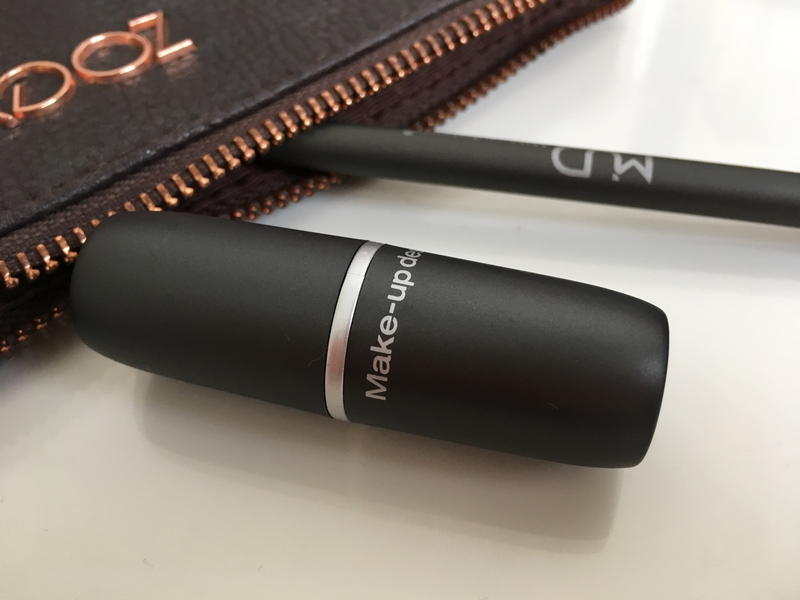 At a first glance the lip pencil and lipstick resemble mac quite a bit with their sleek, simple, black and silver packaging. The lip pencil I have here is in the shade 'Brick' and it is a lovely warm, red toned brown I'd say. The name brick really describes it well to be honest. The pencil isn't as buttery as I like and I did feel it drag a bit on my lips, but I also find the MAC ones can do this too. I think I'm just to using the ultra smooth Huda Beauty ones and Kylie Cosmetics ones. I do think you can get a more precise line though as the nib is so fine. The colour is amazingly pigmented, I was really impressed actually. 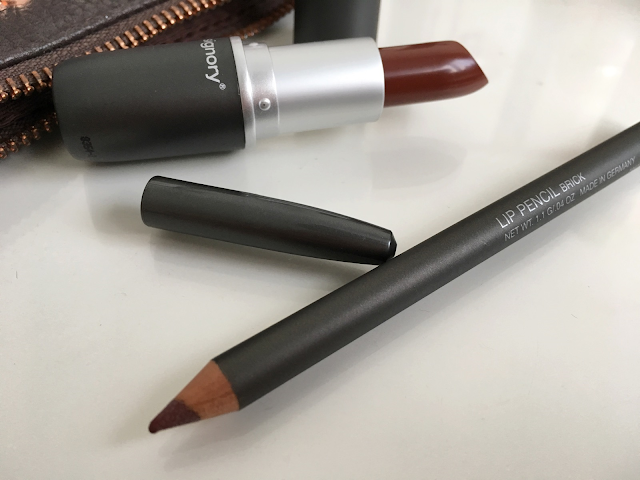 This lip pencil is PERFECT paired with the MUD lipstick in the shade 'Havana'. The shade is completely gorgeous, a rich, red toned brown with a satin finish. The pigment again is fantastic, all you need is one swipe. 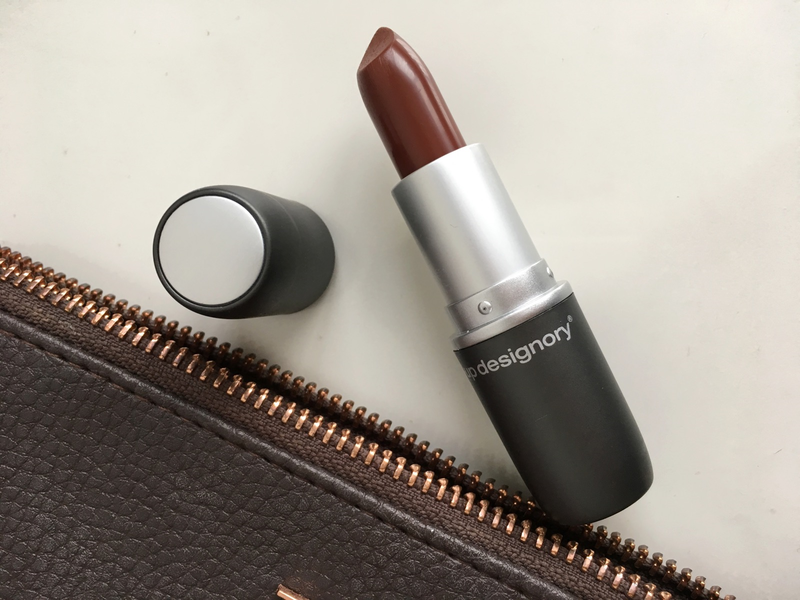 This shade will be good for those of you who aren't quite brave enough for a full on vampy lip, but still want a pop of colour and still make a statement. I honestly think this colour would look amazing against any skin tone too. 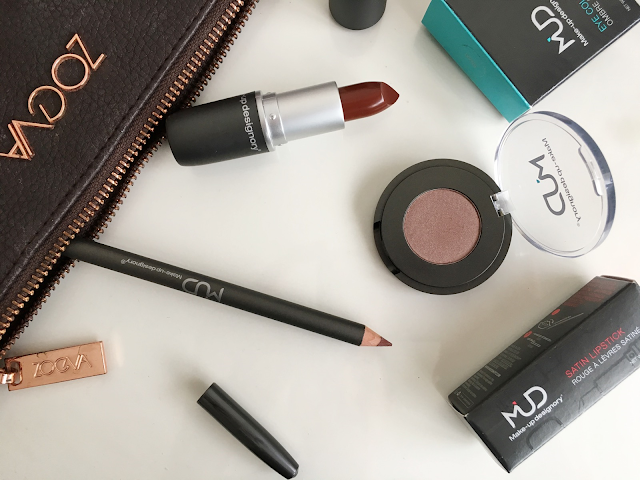 The MUD lipstick applied smoothly and feels extremely comfortable on the lips. I usually opt for matte lips but a satin would be my next choice - More comfortable on the lips, just don't last quite as long. To top off the look the MUD eyeshadow pan in the shade 'Galaxy' is a really nice warm toned shimmery brown which looks almost plum in some light, i own a lot of eyeshadow palettes, as you can probably guess with my make-up addiction, but i don't think i have one like this so it's quite unique. The pigment is really good too, this looks lovely patted onto the centre of the lid. I think you can also create your own custom MUD palettes as I have seen on the PAM website (here) they sell loose pans which is always a good idea! Overall I'm very impressed with this brand, unique colours, great pigment and lovely formulas. I would happily pay £15.50 for the lipstick but £14.95 for one single eyeshadow compact seems a little steep to me, that is really my only grumble about the brand. You can purchase MUD from the Precious About Makeup (PAM) website HERE. Have you tried anything from MUD before? I would love to hear your thoughts.